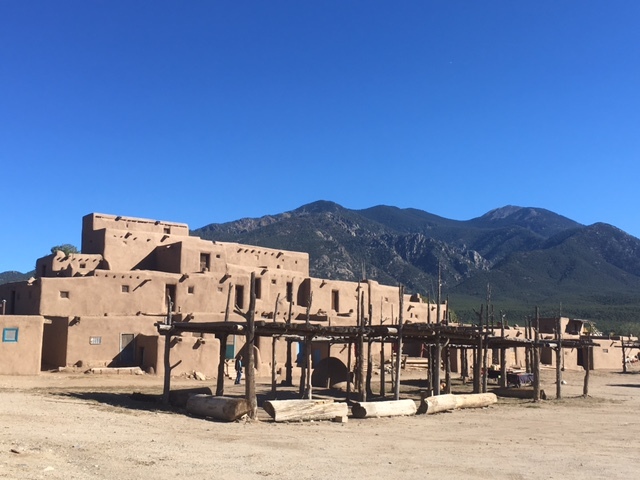 Before I even entered the gate, I witnessed the dichotomy of Taos Pueblo. 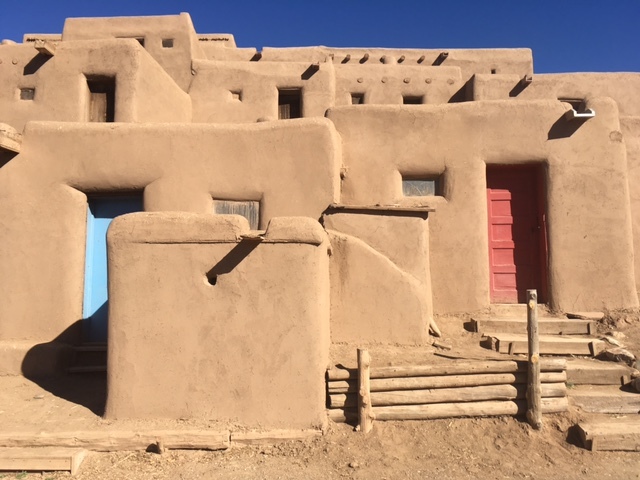 It is amazing, miraculous really, that people have lived here for over 1,000 years. It is appropriate that it is a National Historic Monument and a World Heritage Site. 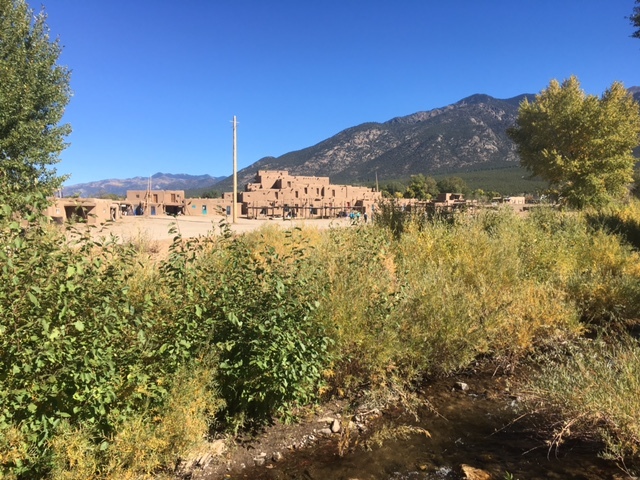 But it’s horrific that Taos Pueblo is so commercial. Signs everywhere: don’t do this; buy that; give your guide a gratuity. For sixteen bucks you ought to get a half hour tour by someone trained and informed. Instead they tout how tours are given my tribal college students eager for tips. Mine integrated at least three plugs for tips into his spiel. The history of the place is all right; the tone of the place is all wrong. The hucksterism obscures the magic that the tour guides and shopkeepers proclaim. I want to believe that the natives’ commitment to this land, this place, this way of life, is genuine. But sincerity so polluted by the almighty dollar is difficult to swallow. Luckily, a different parking guard was happy to let me ride my bike out of the area instead of making me wait for a bus. 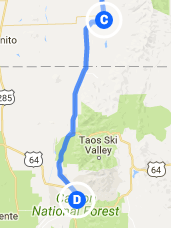 The rest of the day I toured Taos; a predictable mix of commercial, artistic, and alternative attitudes coexisting on thin air. I could definitely fit in here – the place is crawling with skinny white guys with wrinkled faces and disheveled grey hair – but after one day I was ready to pedal on.